Last weekend we spent a beautiful afternoon at the Distillery for South Boston Open Studios. It was my first visit to the space, and it appears to house artists working in an exceptionally wide variety of media. I was especially impressed with the number of artists who embraced drawing, since it’s my medium of choice but tends to be less represented in the art world. 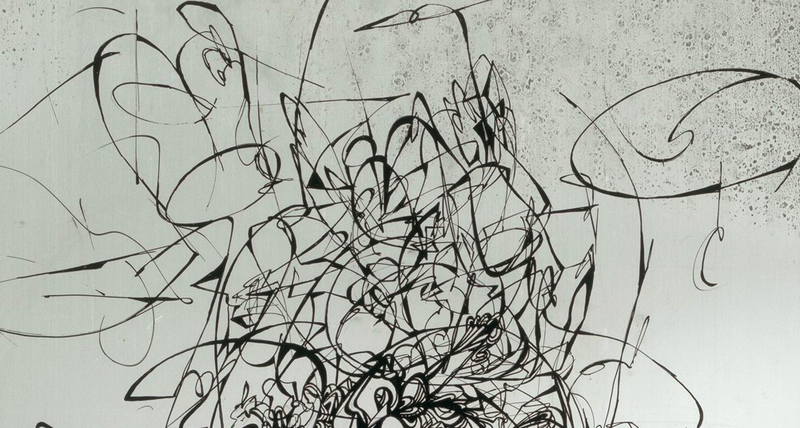 Lisa Scollan used chemical traces on industrial metal as her starting point for intricate, mostly abstract drawings. Her studio was amazing; it looked like she was just compelled to draw, all the time, on everything. 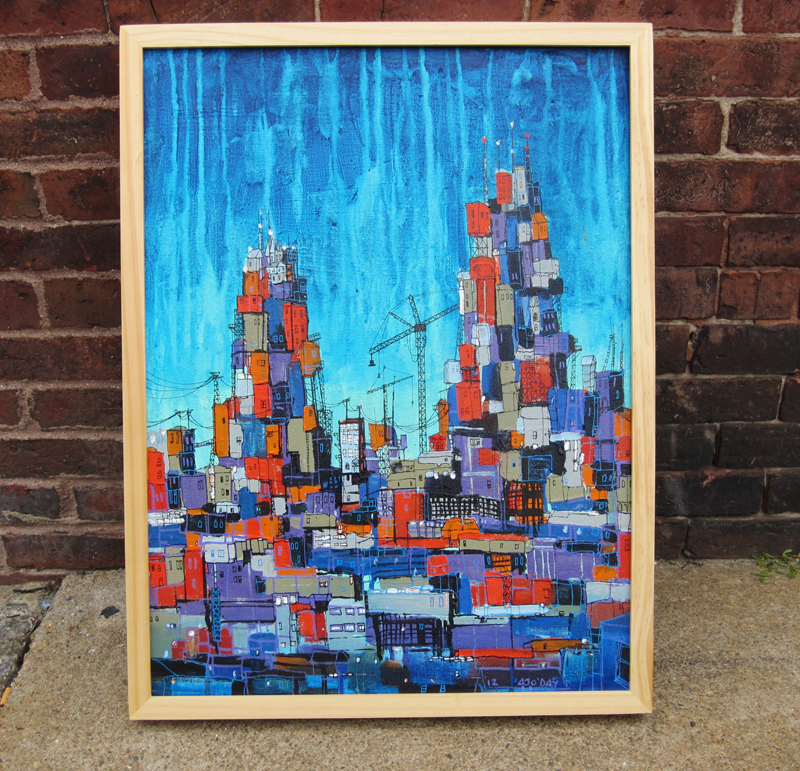 I first met Adam O’Day at the last Boston Arts Festival where we were both showing artwork. 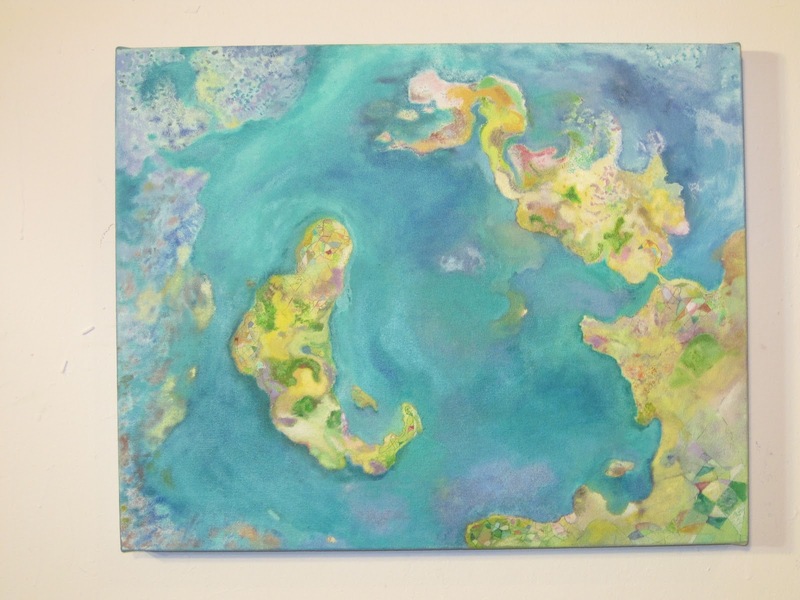 I’ve also seen his designs at Ward Maps and on friends’ walls. I’m impressed by his facility with bright colors, and of course I love the cityscape theme. 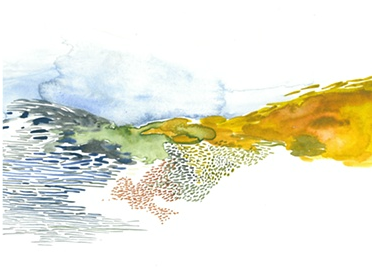 Aimee Belanger had some great watercolor texture; I like the way this piece looks like a watercolor sampler, showcasing all the possibilities of the medium. I actually profiled Chantal Hardy‘s work in an earlier post on SoWa artists after seeing it at an exhibition, but I didn’t realize she was at the Distillery until I was face-to-face with her work. I don’t often come across other artists who depict imaginary/invented places, and I like the way she mixes a representational style with abstract elements. 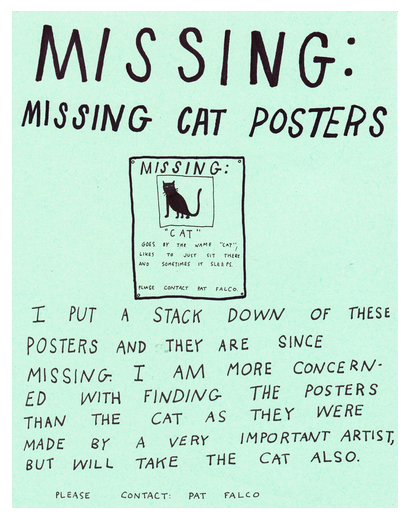 Pat Falco impressed us with his quirky poster series, including this clever one about missing cat posters. It’s so rare to see humor at art events. It was great to meet Courtney Moy in person after seeing her work at Toscanini’s and following her blog for a bit. 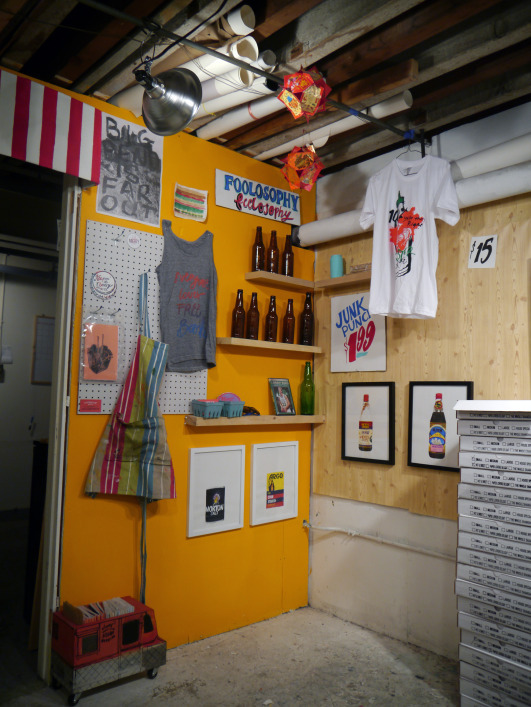 Her work is also refreshingly humorous; it mostly deals with food, and she pointed out to us a project on beer bottles, mentioning that she’s working towards 99 of them (wall-mounted, of course). 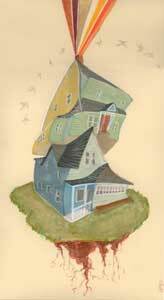 I saw Sarah Gay‘s drawings at the exhibition “threefam” at City Hall recently, and I love the expression she puts into her houses. This “uprooted” house in particular reminds me of a lot of popular imagery that I’ve also put into some of my non-observational representational drawings. Walter Crump was the last artist I saw, and he really impressed me with his range of media and styles. I was, of course, initially drawn by the maplike paintings, but soon got entranced by the texture in a few prints. 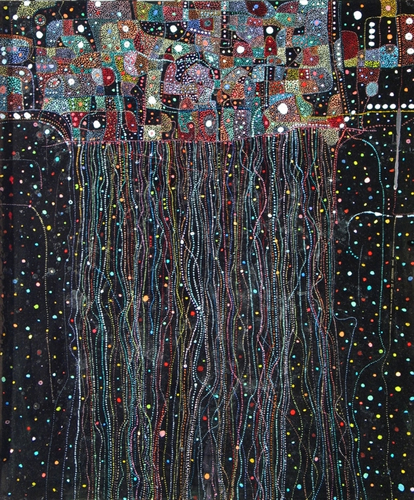 Apparently they were soft ground or collograph prints using steel wool and even plant roots to get an organic texture behind his fields of color.